This year marks the 120th anniversary of the London School of Economics and Political Science (LSE). The specialist university has an international intake, with a student body made up of approximately 9,500 full-time students from more than 140 countries. LSE’s network of alumni spans the world and some of its most well-known former students include Mick Jagger, Sir David Attenborough and John F. Kennedy. The university provides a broad range of academic and support services to its students, from its main London campus in Houghton Street, off Aldwych, in the centre of the capital. The school has been based at its current site since 1902, with King George V laying the foundation stone of the Old Building in 1920. In addition to the main campus, there are more than 4,000 places for LSE students in halls of residence dotted across London. The age of the campus demands an extensive maintenance programme to ensure the structure and the internal systems within the properties meet the school’s safety standards. 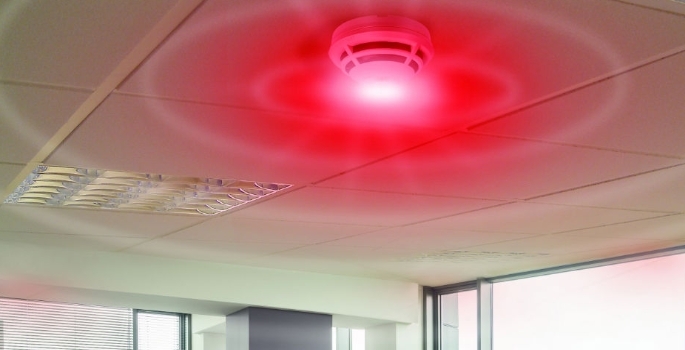 One of the biggest focuses in recent years has been the upgrade of a number of the site’s fire detection and alarm (FD&A) systems. LSE’s estates team are working with Bedfordshire-based fire protection company Fire Facilities Management, who look after the maintenance contract for the main campus buildings and the students’ halls of residence and upgrade several of the existing FD&A systems. A phased development programme has been put in place, with the incumbent systems being replaced by technology from Gent by Honeywell. Fire Facilities Management is part of the Gent 24 network of approved system integrators. Mark Reeves, director of Fire Facilities Management, said: “Some of the upgrades on the main campus have taken place during the last two years and, more recently, one of the school’s halls of residence had its old closed protocol system upgraded to an analogue addressable Gent system. Carr Saunders Hall, for example, is a student residence just off Tottenham Court Road, near Regent’s Park, and accommodates up to 160 students across its 10 twin rooms with shared bathrooms, four twin en-suite rooms and 132 single rooms. The analogue addressable Gent system installed comprised a Vigilon Control panel with S-Quad devices. “Due to the nature of the building, the FD&A system has to minimise the occurrence of false alarms. The best remedy for this is to select a system that can provide early and accurate detection, such as the multi-sensor S-Quad technologies that Gent provides. The S-Quad devices installed are multifunctional, combining a multi-sensor, speech, sounder and visual alarm into one device – so they can also cut down on the number of overall devices in the building,” said Reeves. The specific requirement for the student accommodation was to use the combined devices to minimise false alarms: one element in this is to have correct decibel levels in rooms occupied by students and guests and carry out tests to ensure this. The phased programme to upgrade the systems at LSE is ongoing, part of a university-wide strategy to invest in the school building life-safety system and install the Gent systems. Campus properties that have already been installed with the new systems include the NAB building and 32 Lincoln’s Inn Fields. The Lionel Robins building is used mainly as the central school library and work is currently being carried out to remove the existing EMS system and install a new fixed-wire Gent system. There are also other major projects in the pipeline during the next two to three years, including the requirement for installation in two brand new buildings located on the campus.